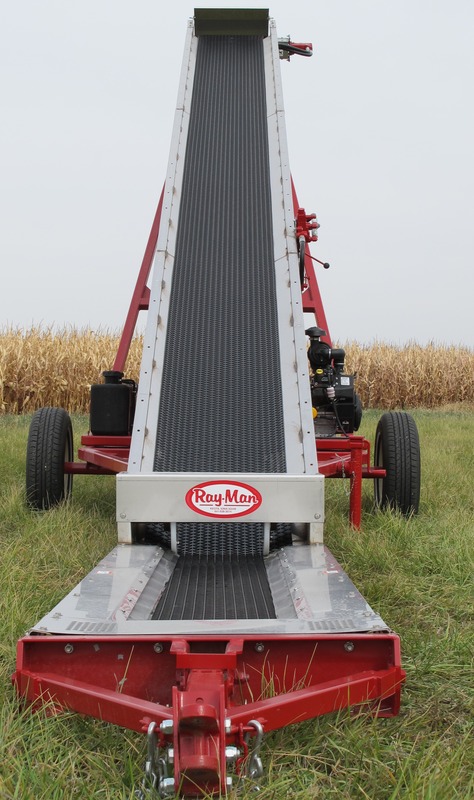 Ray-Man quality features make field loading faster, easier, and safer. 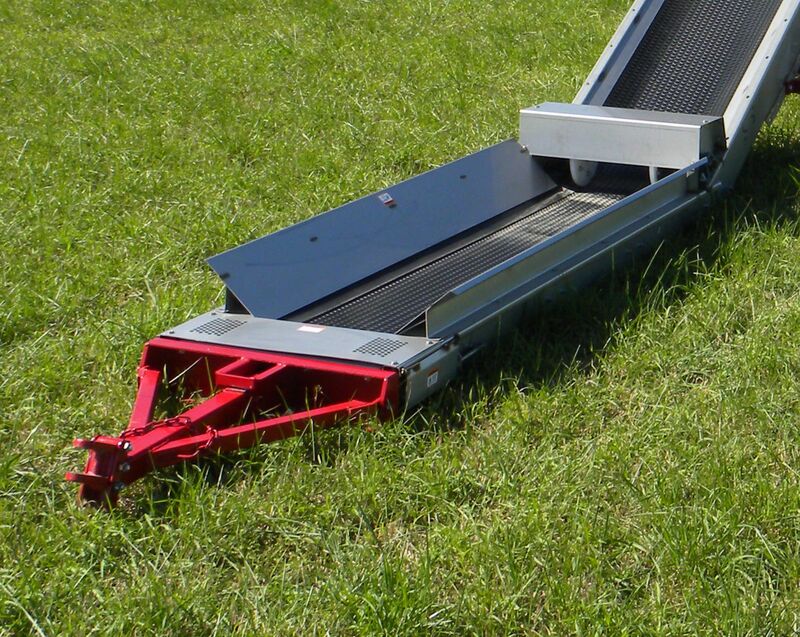 The SS-429 is a universal conveyor for moving bulk materials. 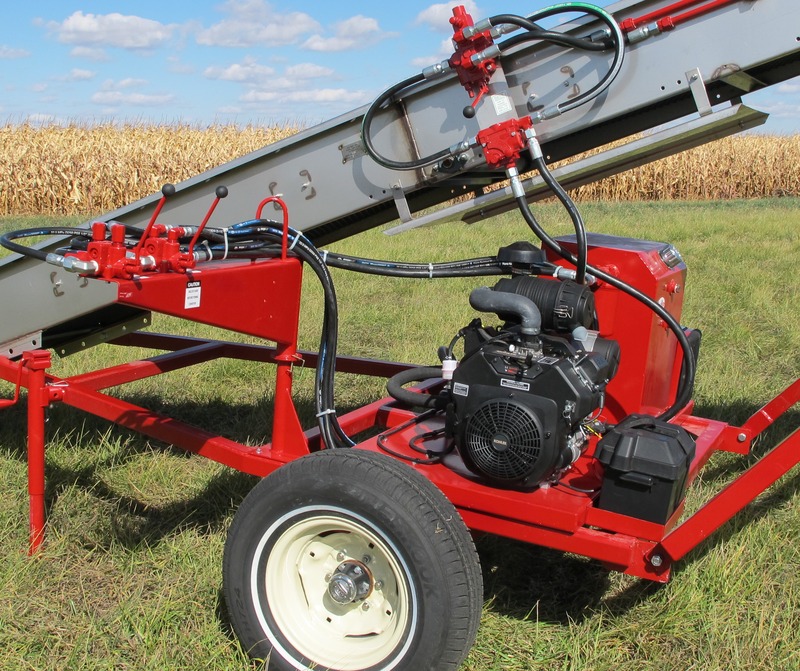 Control the rate of discharge by adjusting the belt speed from zero to450 feet per minute. 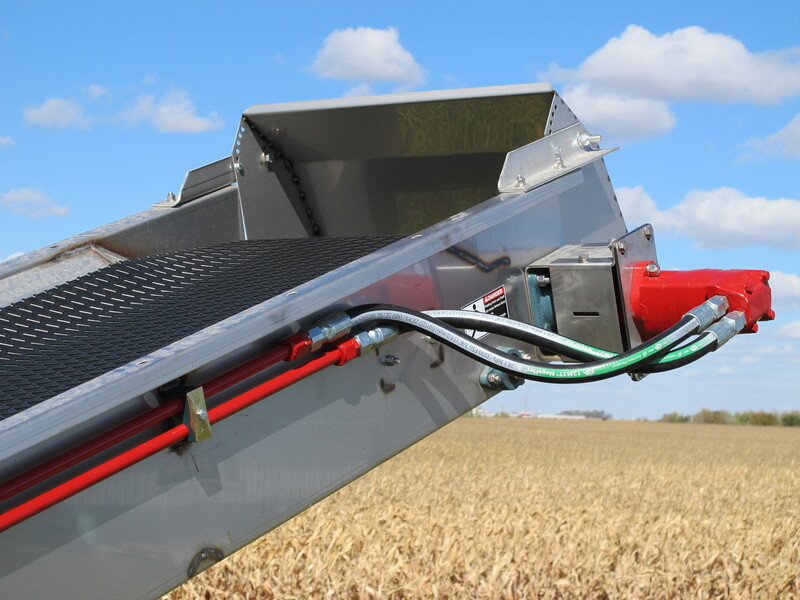 Direct the discharge chute for precise loading straight down or off of the end. 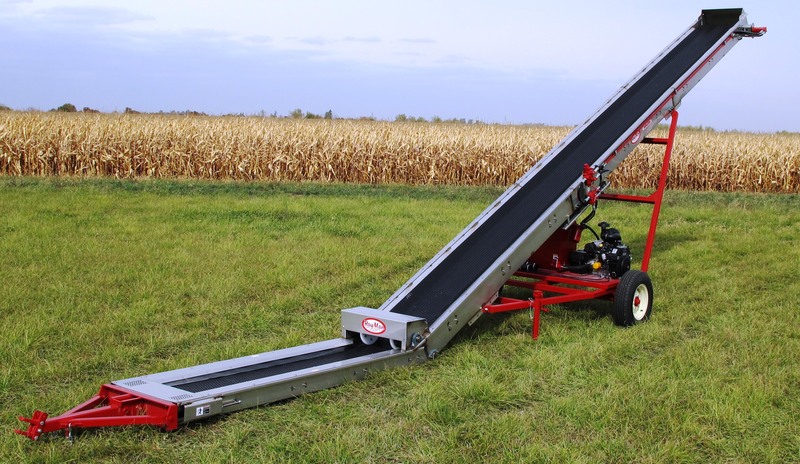 Discharge height of 12’6” insures easy filling of most transport and floater trucks. 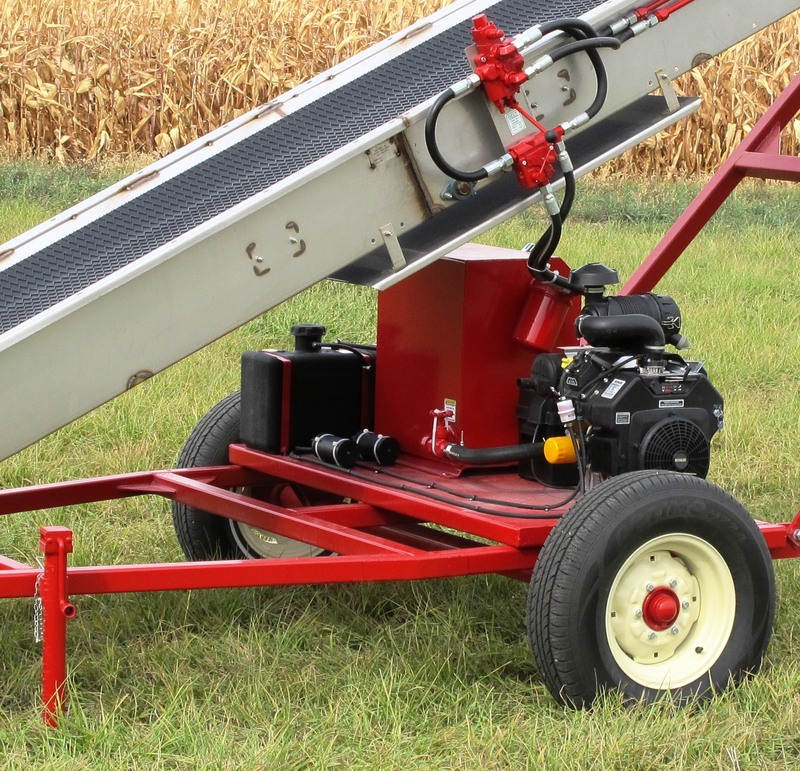 The Ray-Man SS-429 Portable Fertilizer Belt Conveyor is balanced for one-man hook-up, and its adjustable wheel track provides outstanding stability over the road or through the field. 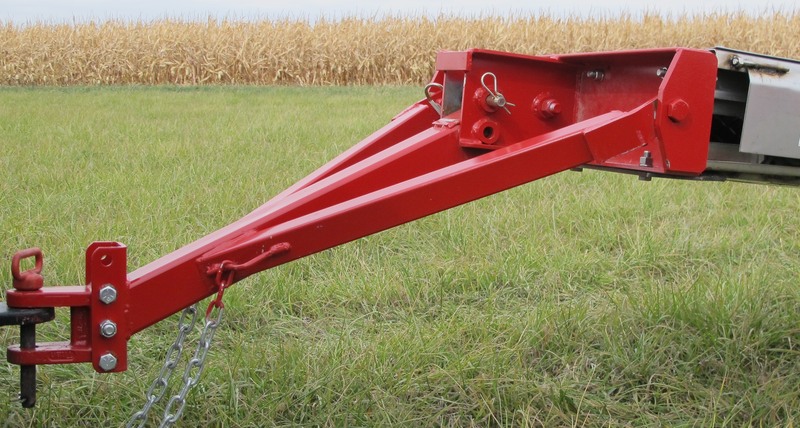 Motor and adjustment covers shield moving parts while safety guards protect operators. 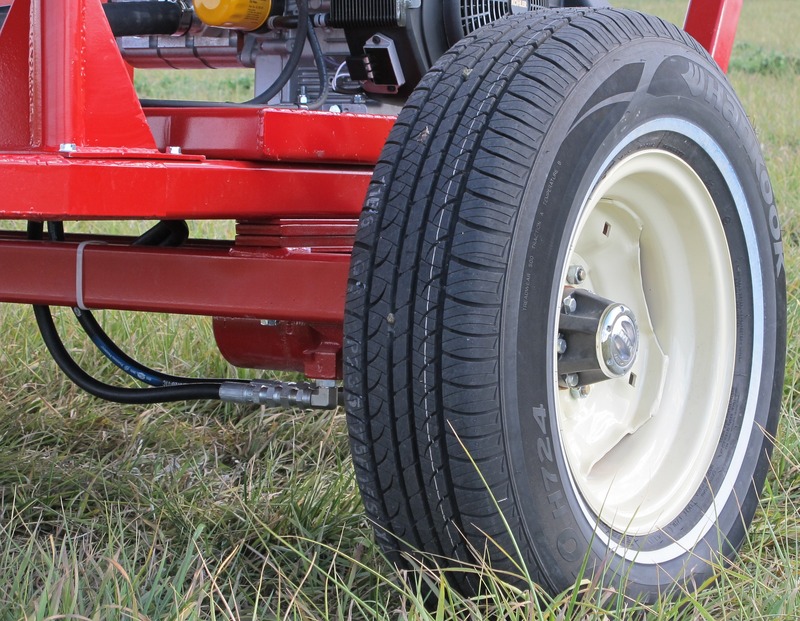 A popular optional feature is our hydraulic planetary drive wheels with lock-out hubs (forward, reverse, left, right).